In our blog this week we would like to share with you a story which lies particularly close to our hearts as a company. On October 23rd 2014 a beautiful, talented young man named Johnny Mackay took his own life. In the wake of this, Johnny’s friends and family set up Johnny’s Happy Place, a café space in Kettering which is open to anyone and everyone and offers a place for people to find solace, friendship, relaxation and laughter in perhaps ones more troublesome times. If you would like to know more about Johnny himself then please click here but in the meantime, let us tell you something wonderful…. 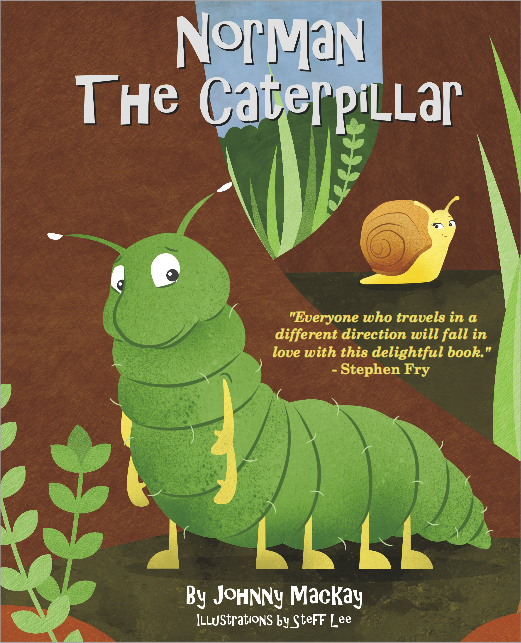 One of the primary aims of Johnny’s Happy Place is to help and inspire others; and inspire they most certainly have with the recent self-publishing of an enchanting children’s book called Norman the Caterpillar. This book was in fact written by Johnny Mackay shortly before he died and this weekend, Sunday 20th September, sees its’ official launch. The launch will take place at JHP headquarters (the café!) and is a free event which will consist of fun and games for adults and children alike so do pop along if you’re in the area, it’s going to be really quite special. Our lot at Calico have been busy this week concocting a big bunch of goody bags containing various fudge-y delights which shall be used as giveaways at the book launch. This in itself has been a thoroughly rewarding experience and something we will forever be proud and honoured to have been involved with. However, what we would really like to do is to continue to do more for this fabulous community who work so hard to provide a place that brings a smile to the peoples’ faces who perhaps at times need it the most. So with that in mind, what we ask is that perhaps you share this story and consequently spread the joy of JHP to those who haven’t found it yet. 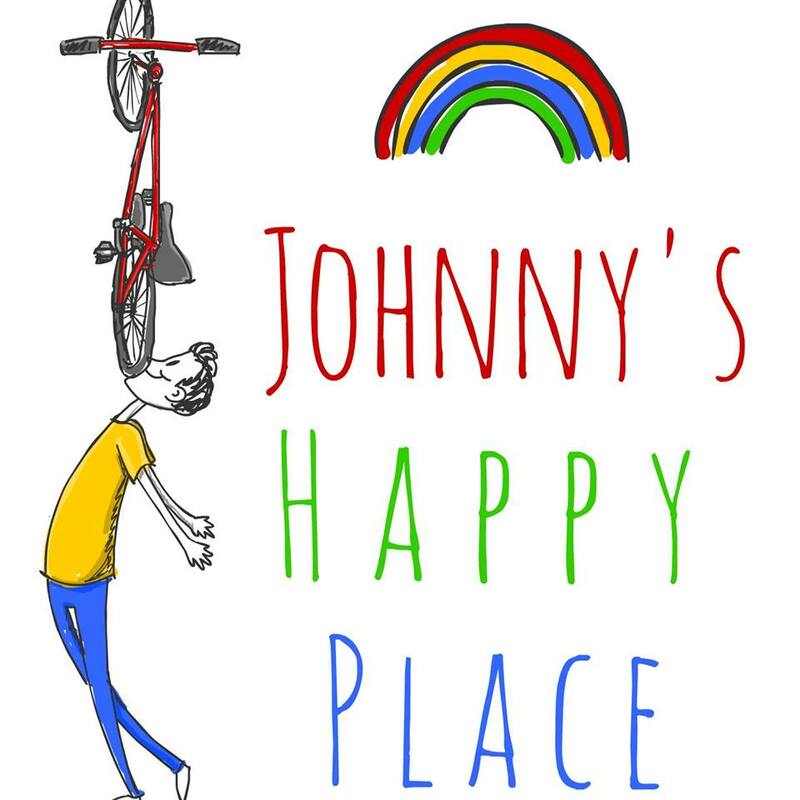 This book launch is just the start of many great things to come from Johnny’s Happy Place. Norman the Caterpillar is a story of believing in yourself and finding love and we hope that you are just as excited as we are at the prospect of reading it in a few days time. There is a plethora of things that JHP hope to achieve over the coming months and with a little bit of help from a host of wonderful people they can continue to work their magic and fulfil their wish of encouraging people to help and inspire each other…. A wise ole bird once told me that there is still a lot of good to be had in this world. She was right you know, and for happiness’ sake we must cherish it as much, as wholly and as often as we can.